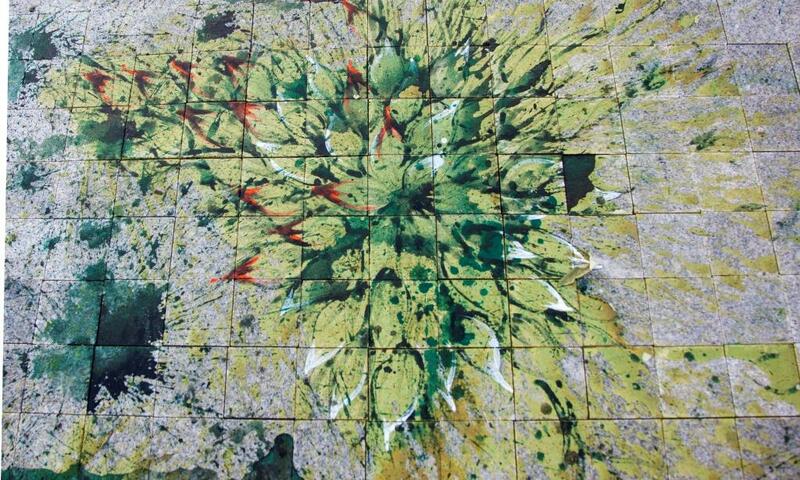 This summer we will present a major project by the highly acclaimed artist Imran Qureshi. The exhibition will be presented at both gallery venues in addition to a site-specific commission for Truro Cathedral, making this arguably Qureshi’s most ambitious UK exhibition to date. As part of the project, Qureshi was invited to make a temporary work for an offsite location. The resulting piece After which, I am no more I, and you are no more you, will occupy part of the nave of Truro Cathedral. It will be vast in scale, occupying much of the south aisle and spilling over rows of pews in the nave. 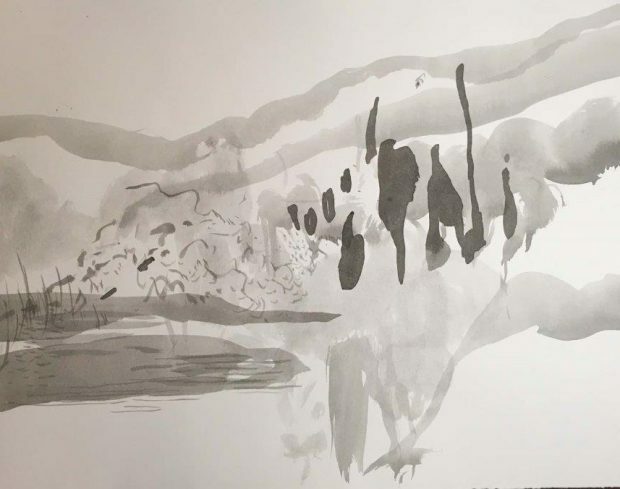 The work will be constructed from 30,000 A1 crumpled, printed sheets carrying images devised by Qureshi and will be installed by a team of ten, working over four days under his guidance and in full public gaze. Art is, and will always be, subjective - down to personal interpretation. 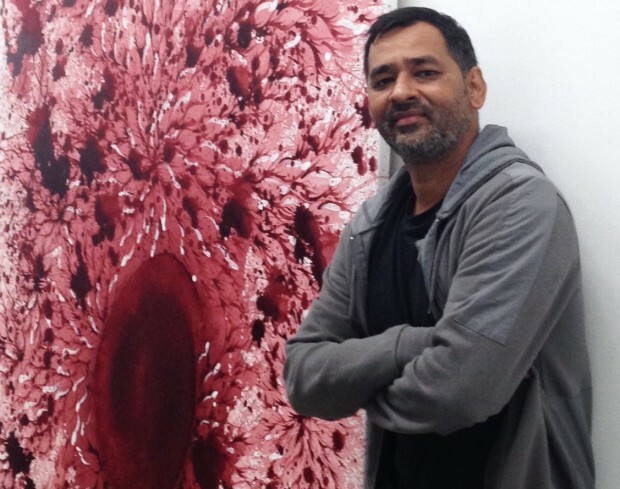 However, Imran Qureshi, the artist behind the monumental installation at Truro Cathedral, and a similar but smaller work at The Exchange in Penzance, has provided some insight into his perspective and motive behind their creation. For the past few years, Qureshi has been creating installations like these in public places all over the world, including Lahore, Berlin, Rome, Dubai, Michigan, Paris, and now in Cornwall at Truro Cathedral and The Exchange in Penzance. The artwork at Truro is different from his previous installations, especially in the use of the green colour palette. 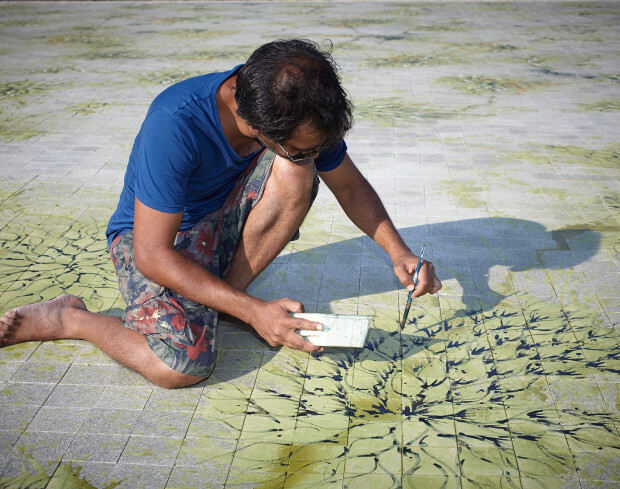 The artwork comprises 30,000 sheets of paper, each printed with photographs of a vast floor painting Qureshi created in front of the Aga Khan Museum of Islamic Art in Toronto, depicting green foliage in the form of motifs from Mughal miniature painting. In this work Imran has brought the garden previously created, into the cathedral space in another form – transforming one work into another. 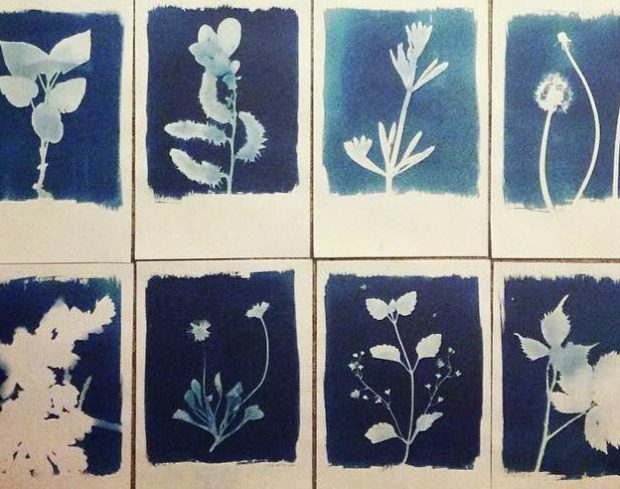 In this work and context, imagery relating to the garden is very important. In many religious books, including the Bible and Quran, the idea of ‘garden’ is used repeatedly, for example the Garden of Eden is referred to in both. Here Qureshi draws attention to the common links across faiths and cultures and particularly, in this work, between Islamic religious and cultural traditions and those associated with the Christian faith. When you stand back from the work, you can see that he has created a landscape of green mountains inside the building, engulfing the structures and reminding us of the outside world we live, with all its troubles, but nature's beauty too, to help provoke our thoughts. 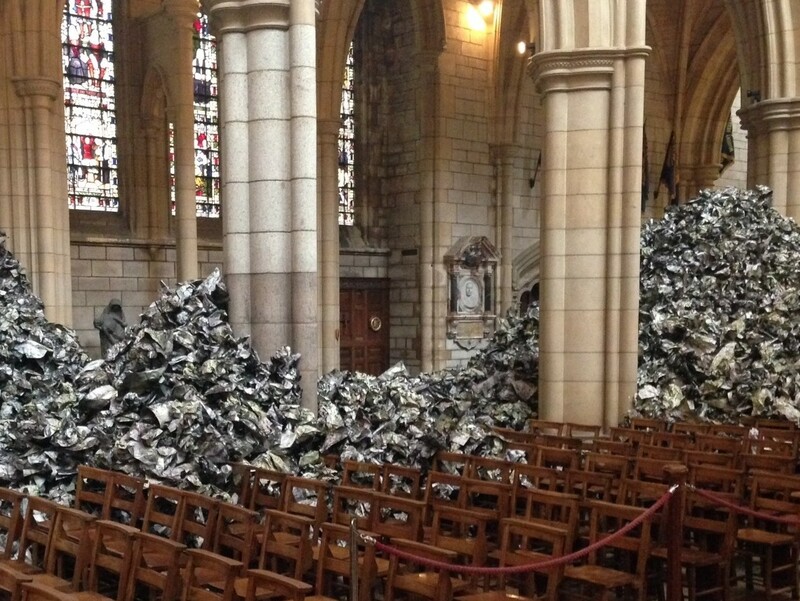 Qureshi also suggests that, from a distance, the installation can also bring to mind a pile of dirty sheets of paper, or something which you have just destroyed. However, as you get closer to the piece, you see the individual pieces carrying the beautiful green colours and the imagery of nature, of life. He suggests that in life, we can be quick to treat groups of people in much the same way; looking at them from a distance and branding them collectively, when what we should be doing is getting closer, in order to understand and appreciate the individuals. 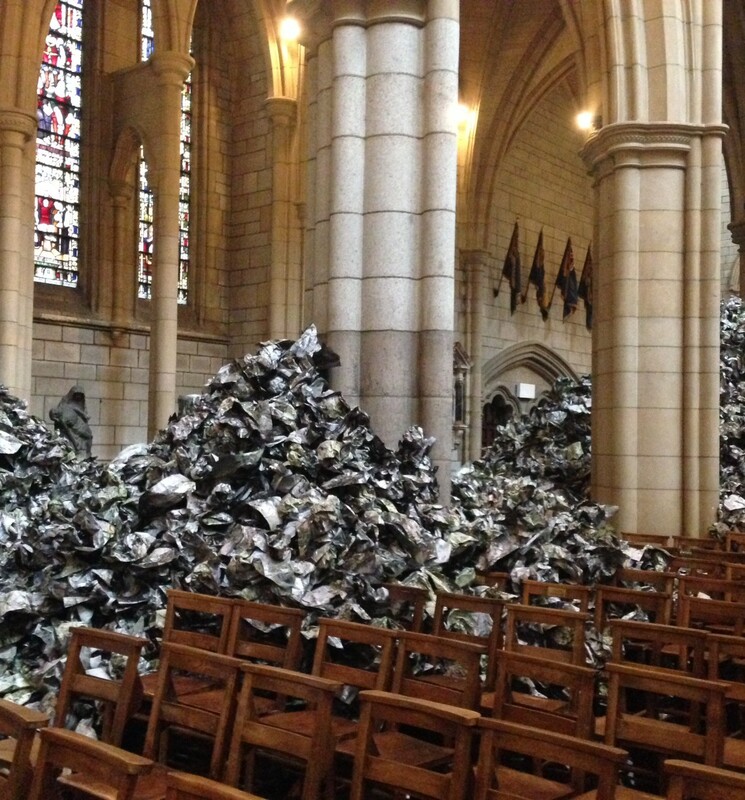 This piece also symbolises creation from destruction - the process of scrunching the paper carrying the artwork symbolises the destruction. The building of the installation represents creation of something from that destruction, and for Qureshi, this represents hope. And his hope is for peace. 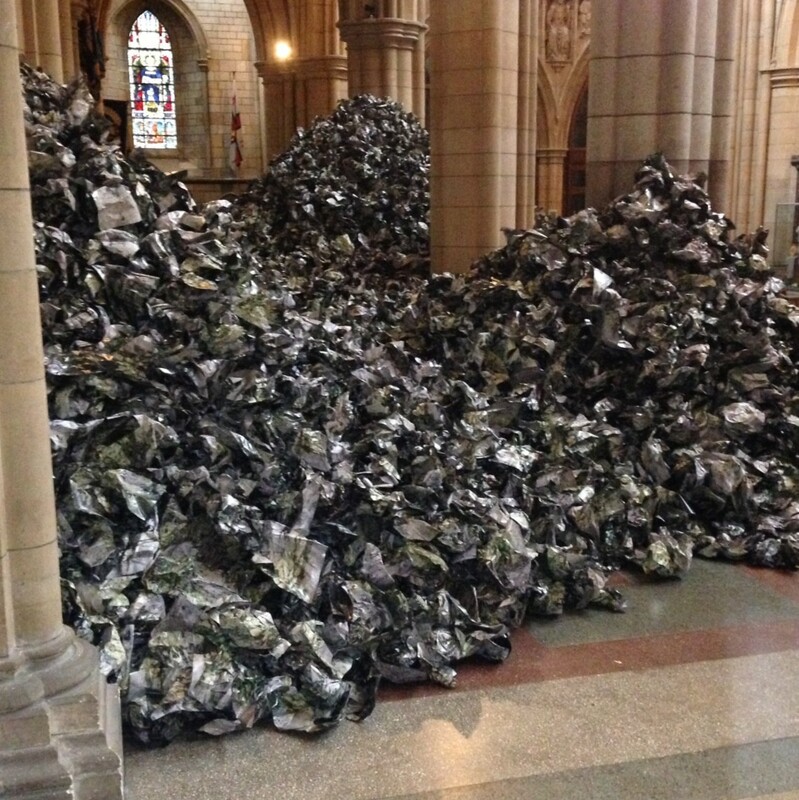 The artwork in Truro Cathedral is called After which I am no more I and you are no more you and Qureshi hopes it will encourage a spiritual dialogue. It provides a statement about this world and it gives some kind of connection to the other world as well. This commission has been delivered through a unique partnership between Newlyn Art Gallery & The Exchange and Truro Cathedral.